Texas Prisoners at Eastham Unit Challenge Contaminated Water and Deadly Heat in US Federal Courts! Well, it is official, the prisoners on Eastham Unit, located in Lovelady, Texas, have filed their § 1983 Federal Civil Complaint in the Eastern District of Texas – Lufkin Division. There were 10 of us in the original complaint, but as is customary in Texas, the Judge severed us all and instructed us to proceed as individual plaintiffs. Our lead litigator and resident jailhouse lawyer is a prisoner named William Wells. TDCJ has the largest state prison system in the United States. Most of the 110 prison units are not air conditioned, and toxic water supplies are becoming a pervasive and systemic problem. Due to the consumption of contaminated water at Eastham Unit, multiple prisoners have been diagnosed with h. pylori disease from the water. Due to the Heat Index, especially in the summer, prisoners must drink this contaminated water that’s causing h. pylori. This issue raises 8th Amendment concerns, and the US Supreme Court has held that unsafe codnitions that pose an unreasonable risk of serious dangers to a prisoner’s future health may violate the 8th Amendment even if damage has not occurred and may not affect every prisoner exposed to the conditions. See case law Helling vs McKinney 113 S.C.T. 2475 (1993). There have been signs posted in nearby communities which clearly read “Don’t drink the water without boiling”, but prisoners at Eastham Unit, and throughout the Texas prison system for that matter, have no means of boiling our water. The prison store known as the commissary sells us “hot pots” which heat water but don’t boil it. If we alter our Hot Pots in order to make them boil, they get confiscated and we are given a disciplinary case for contraband. We are being deprived of a basic human need – safe drinking water! Prison officials are well aware of the situation, and the most ubiquitous item in prison guards’ bags is bottled water. But what about us? There are state officials in Michigan who are now facing prison terms for engaging in similar acts of neglect and abuse. There are many “Flints” in Texas, but the cover-up game is in full effect. My job is to unmask and uncover the deceptions and lies being fed to the public at large. I helped do it at the Wallace Pack Unit in Navasota, Texas last year, and I’m going to do it here at Eastham Unit! This is what I want you to understand, the State of Texas focuses its energy and resources in order to exploit and take advantage of poor white, poor black, and poor brown people. The State Government works in concert with the prison agency in order to deprive us of our our human and civil rights! There are no “fat cat” bankers, lawyers, captains of industry inside these prisons. We are lower income folks who come from lower income communities throughout the State of Texas. The Attorney General of Texas, Mr Ken Paxton, won’t come to our aid. The Michigan Attorney General actually spear-headed the effort to protect his lower income constituents! What’s wrong with Ken Paxton’s moral compass? Paxton is going to side with TDCJ and he is going to send a state-paid attorney to force prisoners to drink contaminated water and suffer in deadly heat extremes! But here’s the thing – Texas has one of the worst-performing and poorly-rated nursing home facilities in the United States! And these are free citizens who we fail to protect, so it certainly is no surprise we are ignoring the health and safety of those incarcerated seniors, but I believe we can do better! Don’t you? I mean, is this how you want your tax dollars spent? Funding litigation which hurts people? And by the time the litigation process is done at Wallace Pack Unit, the state would easily have spent the money it would have taken to install the air conditioning unit! That’s crazy! I’ve been hearing about Christian leaders talking about restorative justice initiatives. I’ve been hearing about change. Not all of my friends believe in prayer, but I surely do! However, the only thing this corrupt prison agency respects or understands is legal action. 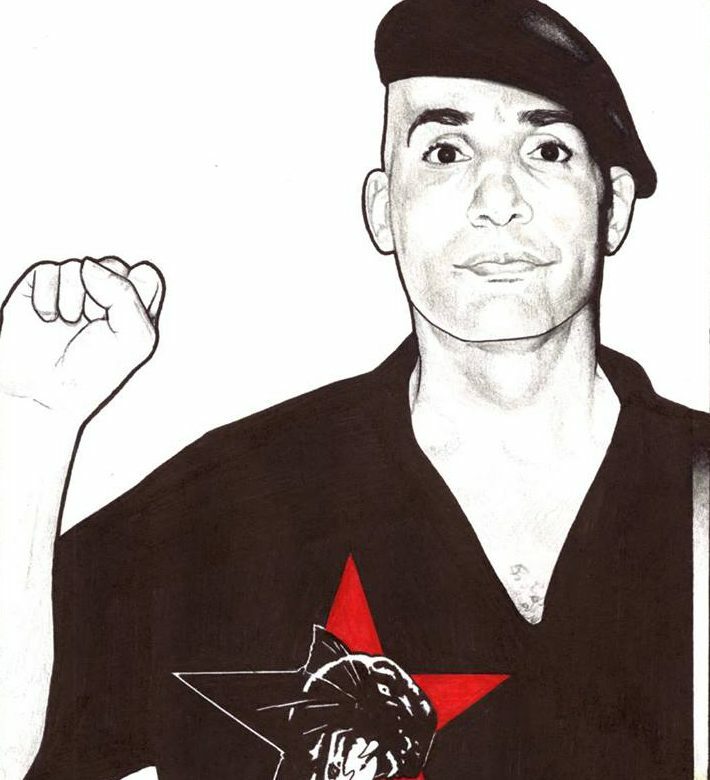 My name is Comrade Malik, I’m not a gangster or a thug, I am a thoughtful and passionate human being who truly believes in serving the people! Please stop talking about action, step out of your comfort zone and help us fight the good fight!